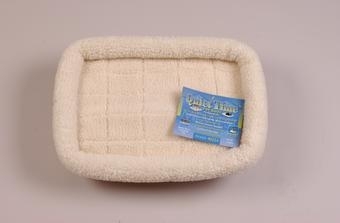 Designed with your pets comfort and your convenience in mind! 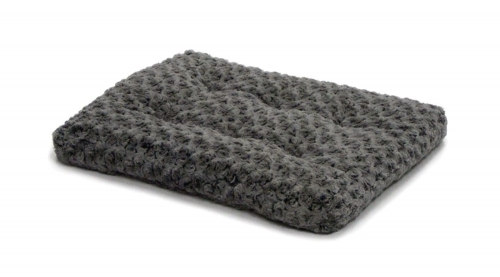 The ultra soft synthetic fur cover provides your pet with comfort for all seasons while the compact size allows you to fold it neatly into the crate for travel or it can be rolled-up for easy storage. 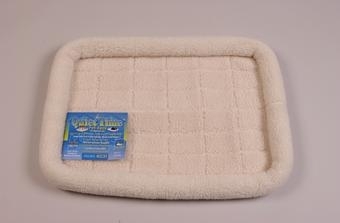 The Quiet Time Deluxe Black Pet Mat also fits easily into most washers and dryer's for easy cleaning. Use In Crates, Carriers, Dog Houses, Vehicles, Or Alone. Keeps Pets Cool In Summer, Warm In Winter. Bed Color Conceals Shedding. Machine Washable. 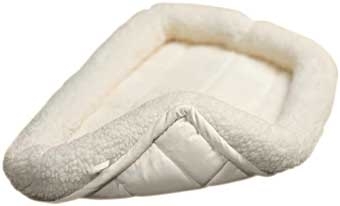 Keep your beloved pet comfortable year round, no matter the temperature. The Midwest Quiet Time Ombre? 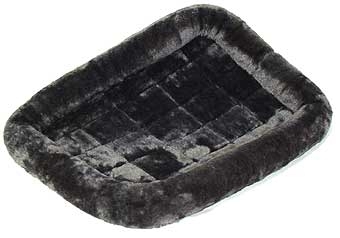 Swirl Deluxe Pet Bed features a plush tufted polyfiber cushion covered with ultra-soft taupe to mocha polyester for the ultimate in luxury. Ideal for use in wire crates, plastic carriers and dog houses. 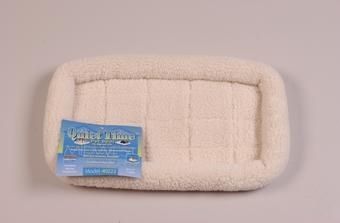 Keeps pets cool in the summer and warm in the winter. Ultra-soft synthetic sheepskin. Completely machine washable - cushioned cotton base.